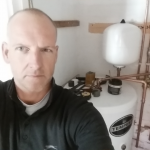 Need a new boiler in Warwick? Get FREE no-obligation quotes now! Current boiler: Eurocal. 20 years old. Flue has corrosion and cuts out. Repair ASAP and contact anytime. Current Fuel: Electric. Current Boiler: None. Open to advice on location of boiler. Replace within 3 months and contact evenings. Current Fuel: Biomass. Supply and fit of OIL boiler and tank external to the house. Timescale ASAP. Contact anytime. Current fuel type: oil. Current Boiler: no boiler . Install within 6 months. Contact anytime. Current Boiler: not known. 12 years old and working. Located in the kitchen, keep in the same place. Flue position: unsure. Replace: ASAP. Contact: evenings. This is a social club not a private house . Current Boiler: Worcester. 15 years old and faulty. Located in the utility, keep in the same place with utility. Replace within 3 months. Contact: anytime.